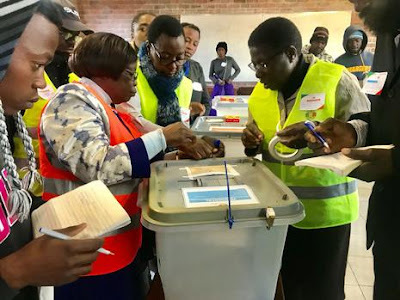 Major African groupings that were part of missions observing Zimbabwe’s elections have commended the country for holding a plebiscite under the dictates of principles governing democratic and credible polls. In their preliminary reports this morning, the African Union (AU), Common Market for Eastern and Southern Africa (Comesa) and Southern African Development Community (Sadc) endorsed the polls while hailing the police for professional conduct. 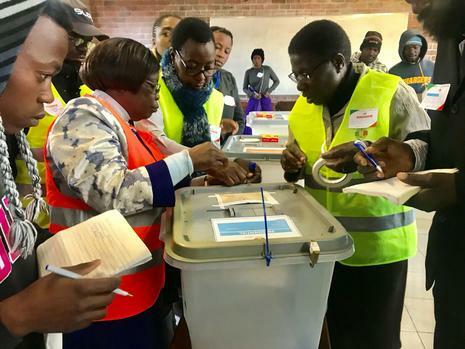 The teams were addressing members of the media at a local hotel in Harare, where the Zimbabwe Election Commission’s national vote counting center is also housed. Presenting another preliminary report at the same media conference, head of Comesa election observer team, Mr Ashraf Gamal Rashed said there was a significant improvement in the general management of elections compared to the previous one. “The mission observed a significant improvement on the current electoral process as compared to previous elections. In general, the elections were held in a peaceful and orderly manner. SADC mission head Mr Luanda Domingos Augusto said all parties objecting the election process and results should follow legal dispute resolution systems. “The harmonized elections of 30 July 2018 represents a political watershed in Zimbabwe’s history as they may open a new chapter leading to social-economic recovery and consolidation of democracy,” Said Mr Augusto. On Monday, Zimbabwe held its harmonized elections in a peaceful environment. Preliminary results are tilted in Zanu-PF’s favor. The historic polls saw 22 candidates vying to oust incumbent President Emmerson Mnangwagwa of Zanu-PF.